To all the people who’ve been texting me and ringing, convinced that living in Brisbane I must be at imminent risk of being washed away, I, and at least 90% of us, are fine. 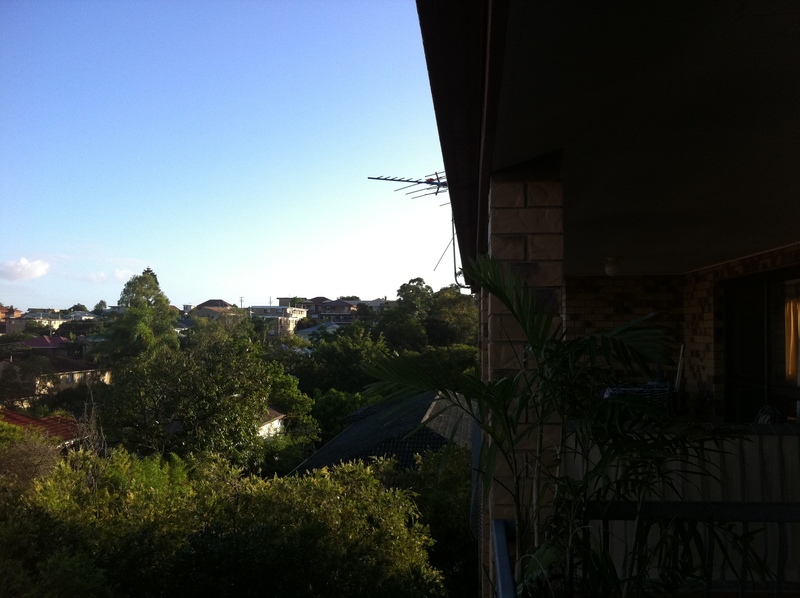 This is the view from my balcony in Coorparoo this morning. 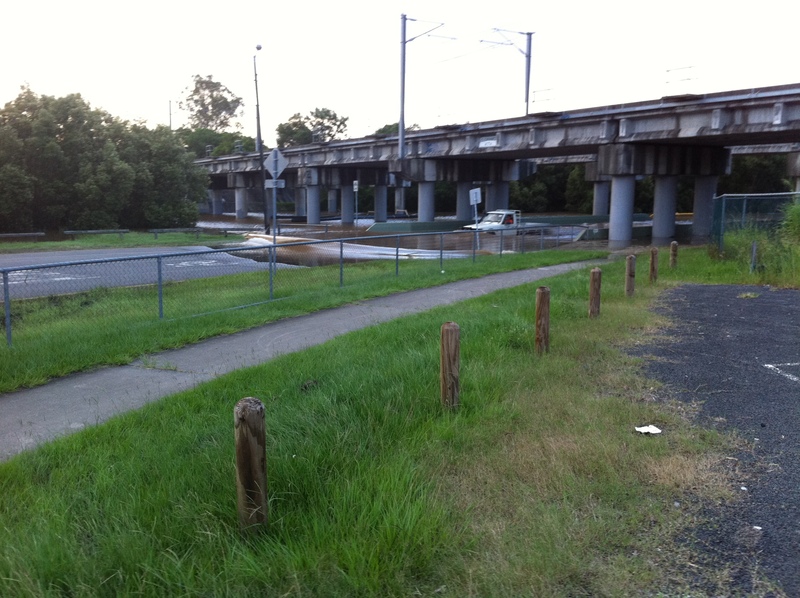 Coorparoo is listed as flood effected, and it is…just. 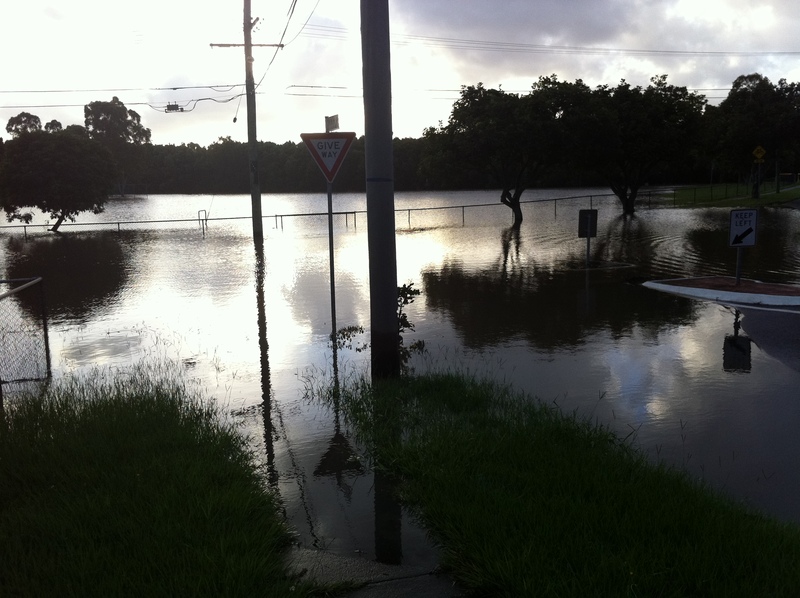 Here is some of the flood affected area from late yesterday afternoon. That’s Langlands Park, a playing field down by Norman Creek, and home to Easts Rugby League Club. Deshon Street below, is also closed, except to the most foolhardy traffic. The car in this picture almost didn’t make it and was blowing smoke and sputtering until it went out of sight. 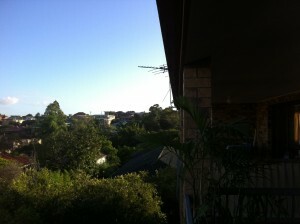 Like most in Brisbane, life is relatively unaffected for me. Which doesn’t mean I don’t feel for those who have lost possessions, or lives in the floods. I spent half of yesterday trying to rescue a car (a 20 year old immaculately restored Chevrolet Corvette belonging to the new boyfriend of an old girlfriend). Alas, when we actually managed to get to where it was, this is all that could be seen of the lower level carpark where it lived. That’s $40,000 of restoration that is now rusty junk. The flood peak was about a metre lower than in 1974, although the media seemed to be willing it to be higher. (While in sporting contests it is appropriate to fixate on records, it’s a little morbid and ghoulish to do it with floods). Yesterday they were predicting around 36,000 properties would be affected. That’s around 10% of Brisbane’s 356,000 or so rateable properties. As the peak was lower than expected, that figure should also be lower. From the mainstream media coverage you would think that Brisbane is completely devastated, but in the last 12 months there have been worse places to be – Christchurch, Santiago, Bangladesh, Haiti and the Mentawai Islands spring easily to mind. The fevered media coverage has surely fed some of the irrational behaviour, such as panic buying in supermarkets and long queues at fuel pumps. And it will make it harder for Brisbane to recover. What tourist wants to visit a flood ravaged city? 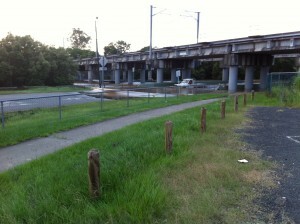 Who would relocate their head office to a CBD that is likely to be under water? Over the next few days and weeks I’m going to be trying to show a more balanced picture via On Line Opinion. We’ll do facts and figures, and we’ll do emotions. But we want the good as well as the bad. We’ll do our best to make a contribution to the historical, not the hysterical, record. There are plenty of places you can post photos or stories, but if you want to send them to me we can post them here, in On Line Opinion itself, or on our Facebook page. We’ve started our coverage this morning with an article from Peter Pyke on the really devastated areas of Queensland – those west from here in the Darling Downs, Condamine and Maranoa country. Tell the 10% that aren’t ok while you are sitting up high and dry in Cooparoo. 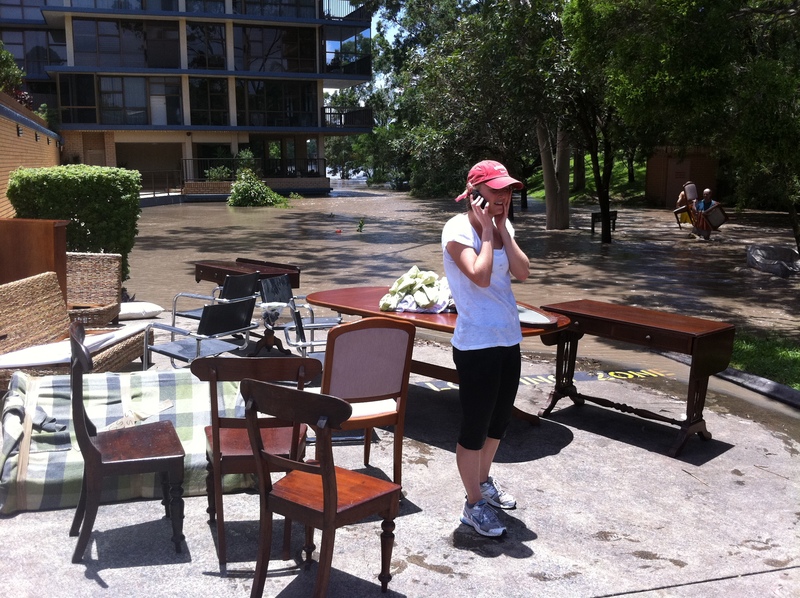 I agree the media seem disappointed the floods didn’t break the 1974 record but houses, small businesses and infrastructure will take years for QLD to recover. Thanks for the calm and reasonable comments. Here in Victoria the media has been displaying an adolescent fascination by drooling over the prospect of a fully blown aussie disaster in photogenic, accessible Brisbane. Take yesterday and today’s Herald Sun editions for starters. It would be interesting if Armageddon broke out at the same time: how would the Murdochians manage to find language commensurate to describe it now that they have already exhausted the lexicon of tragedy celebrating Australia’s ascension to the heights of the international disaster league? They are even tracking the excitedness of overseas headlines and keeping a tally of number of international stories!